Animation of the Command Bunker (420 pixles in width - 213K) - 15 November 2003. Larger image of the Command Bunker animation (700 pixles in width - 566K) - 15 November 2003. 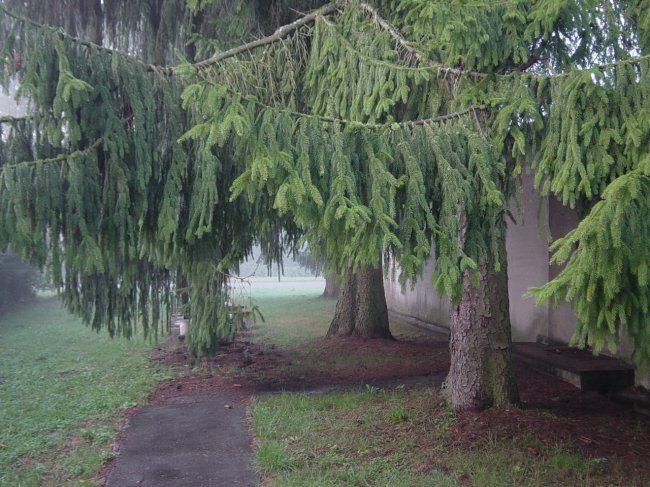 Path from the Headquarters building to the Headquarters War bunker - 6 September 2003. 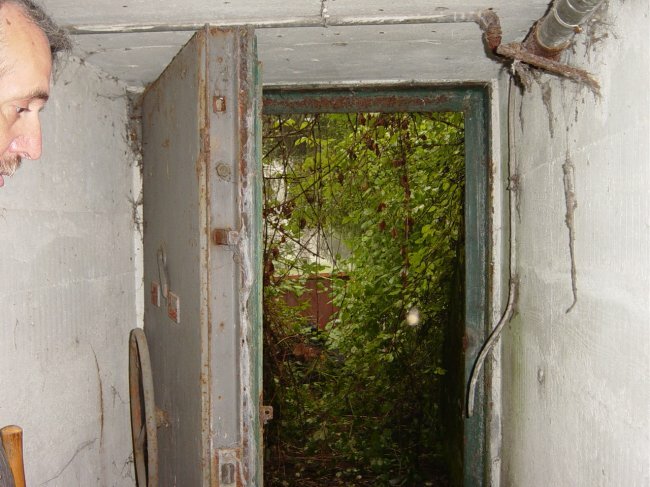 View from the entrance to the bunker looking back towards the Headquarters building - 6 September 2003. 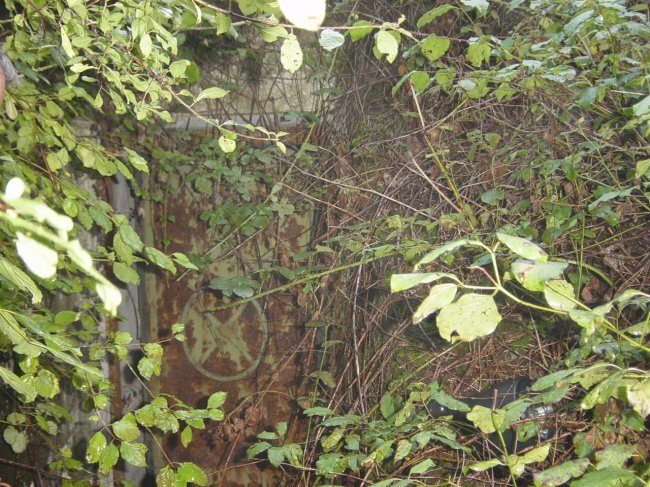 Entrance to bunker covered with foilage - 6 September 2003. 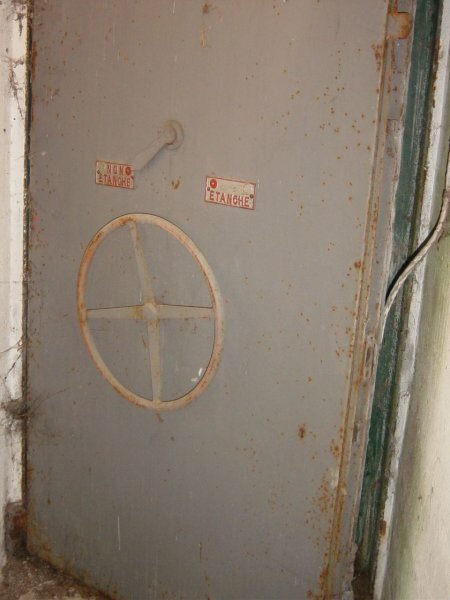 The main entrance door to the bunker - 6 September 2003. 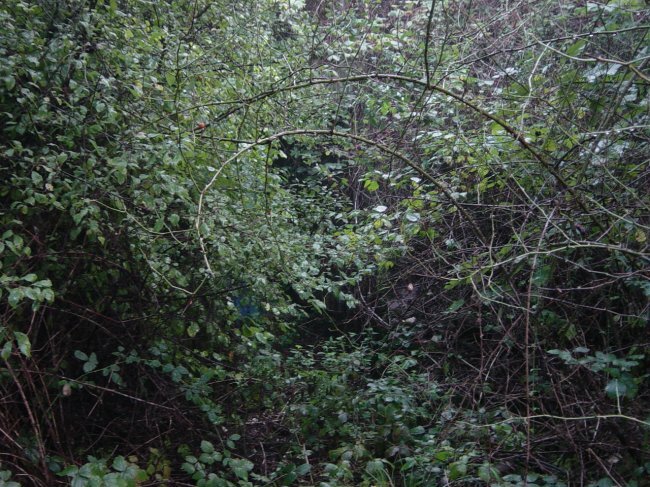 We had to remove a considerable amount of foilage for this photo and to gain access. 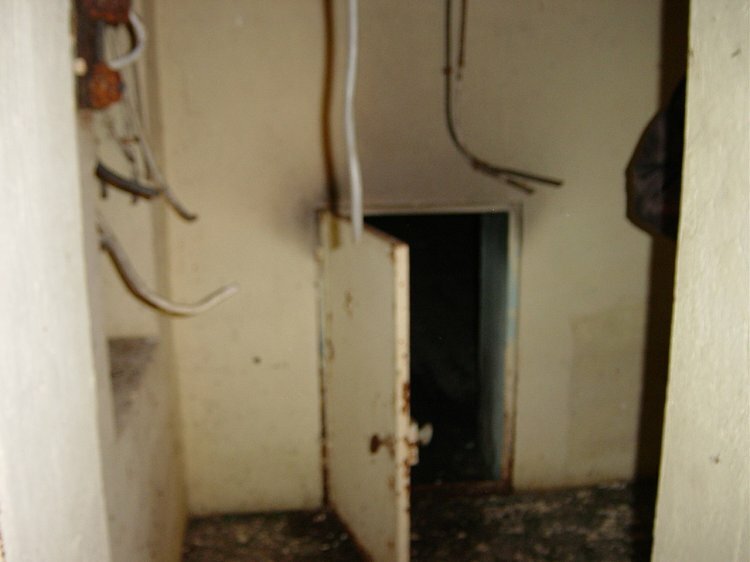 Another view of the door to the bunker - 6 September 2003. 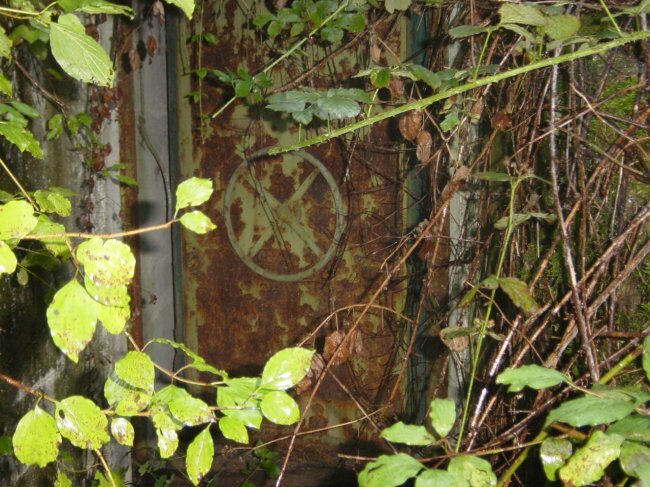 Detail on the exterior bunker access door - 6 September 2003. "Etancher" (air tight) and "Non-etancher" (not air tight). 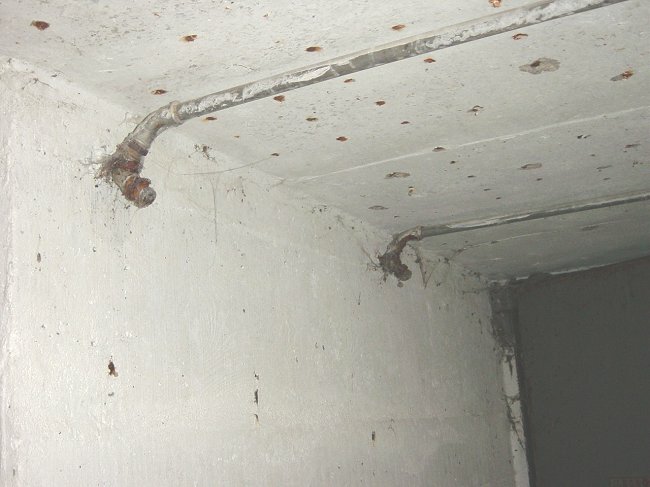 Progress into the bunker - 6 September 2003. 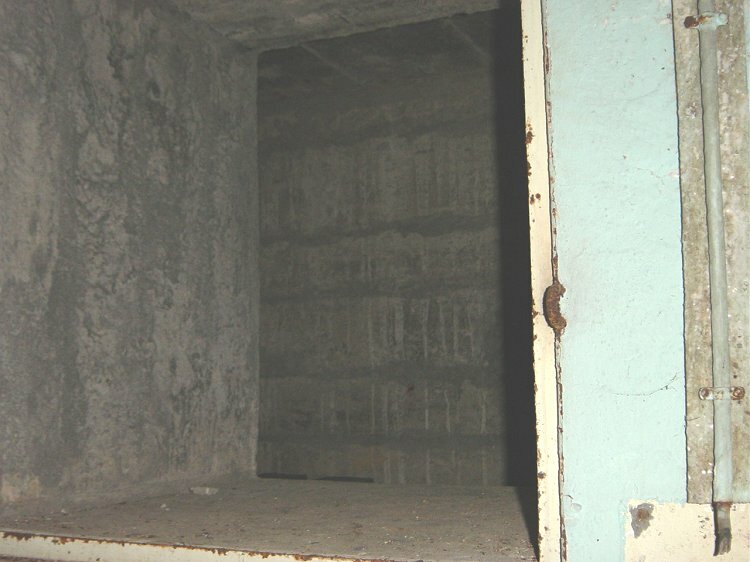 This view is within the bunker with steps leading down to the second door of the air lock. 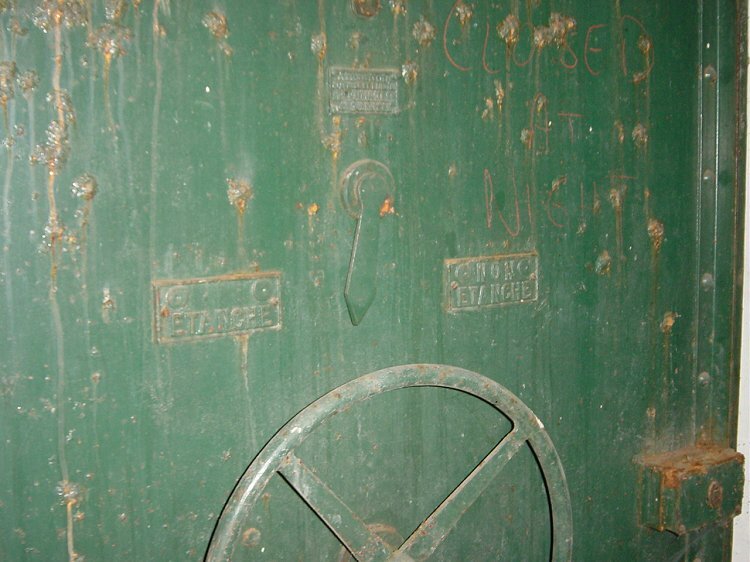 Detail on the interior bunker access door - 6 September 2003. 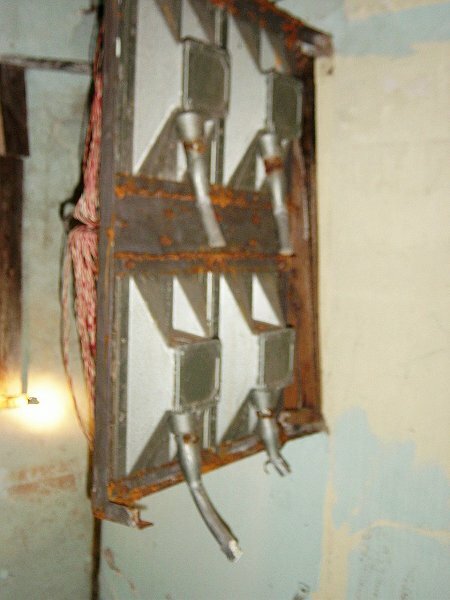 Showers in the air lock were to be used for decontamination - 6 September 2003. 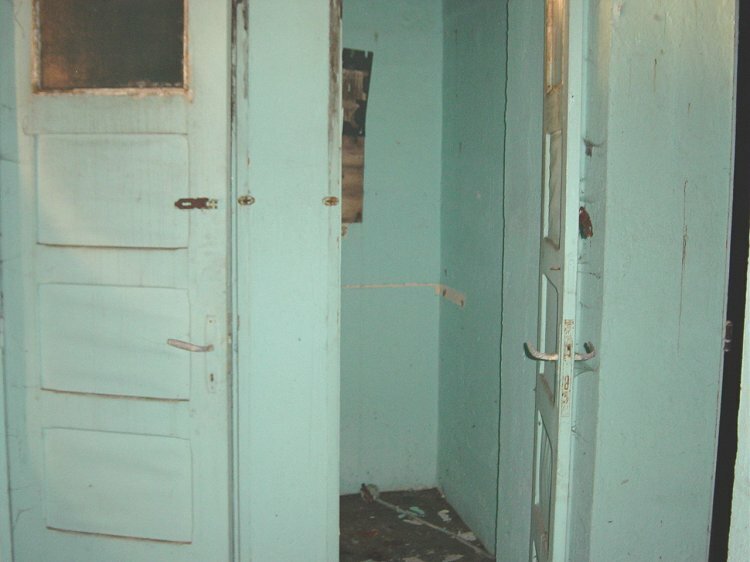 Interior photo of one of the main rooms showing the entrance to an escape shaft - 6 September 2003. 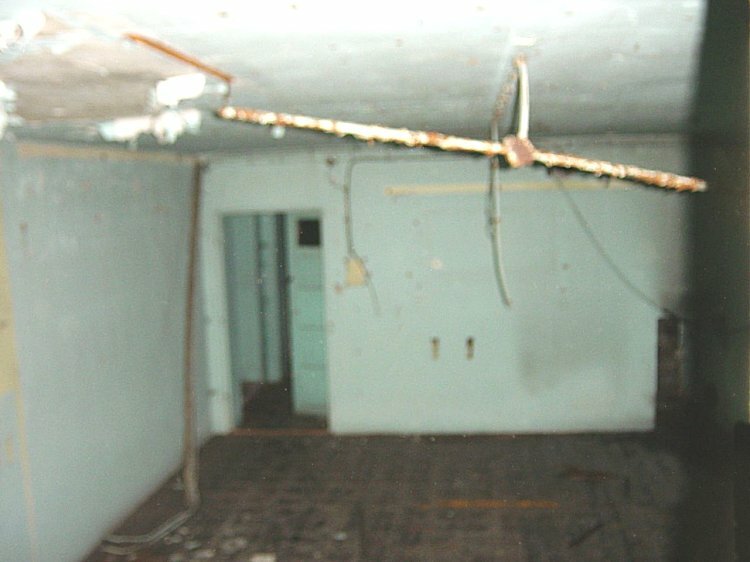 Slightly different angle of the main room showing the entrance to an escape shaft - 6 September 2003. 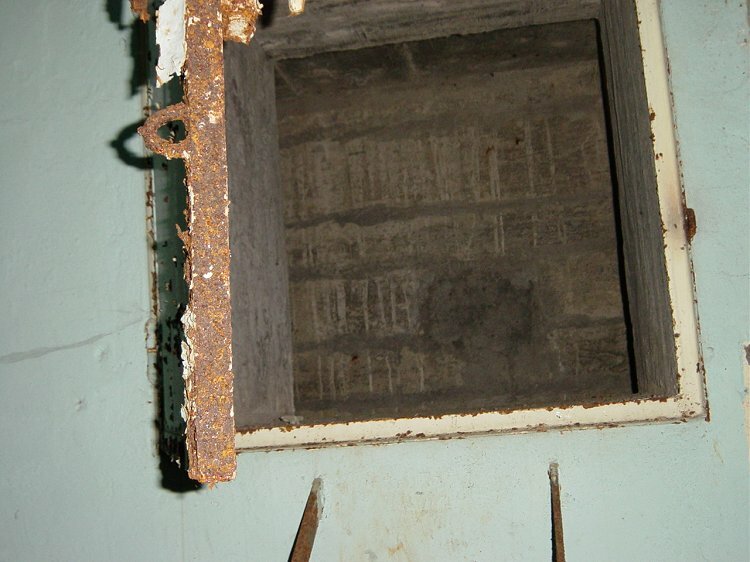 Close up view of the entrance to the "escape shaft" - 6 September 2003. 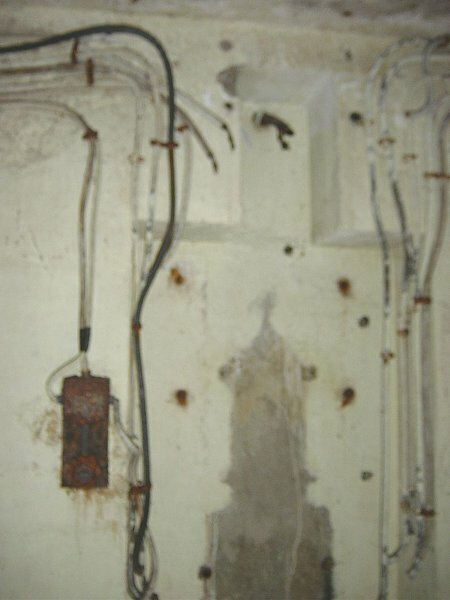 Site of main power distribution with the remains of the input cable at the top of the photo - 6 September 2003. 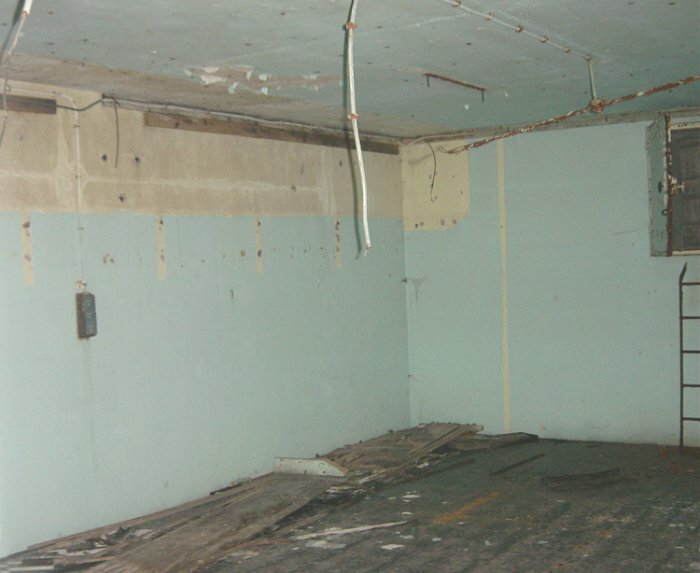 Another view of the same room - 6 September 2003. Ceiling detail showing electrical lights and air vents - 6 September 2003. 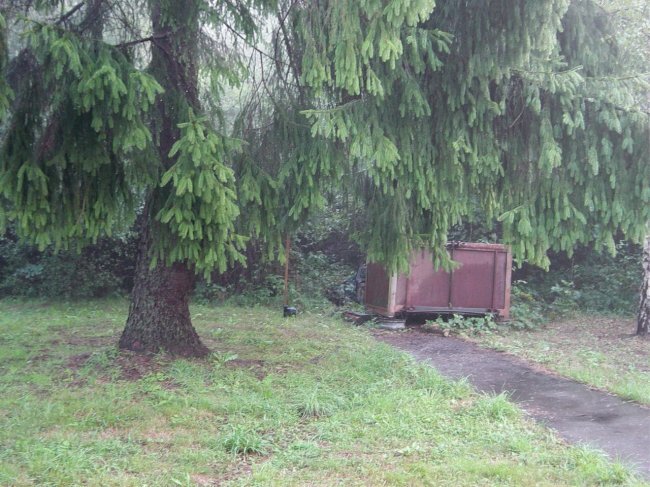 These two cubicals could have been used for chemical toilets - 6 September 2003. 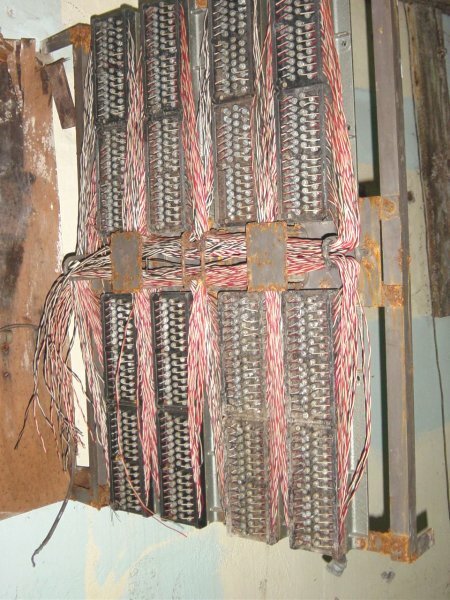 Remains of the main telephone feed and distribution board - 6 September 2003. 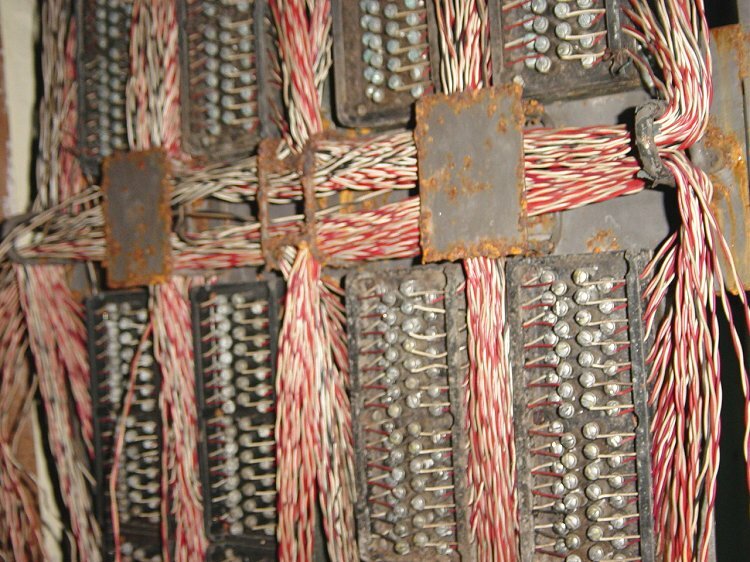 Remains of telephone wiring system - 6 September 2003. 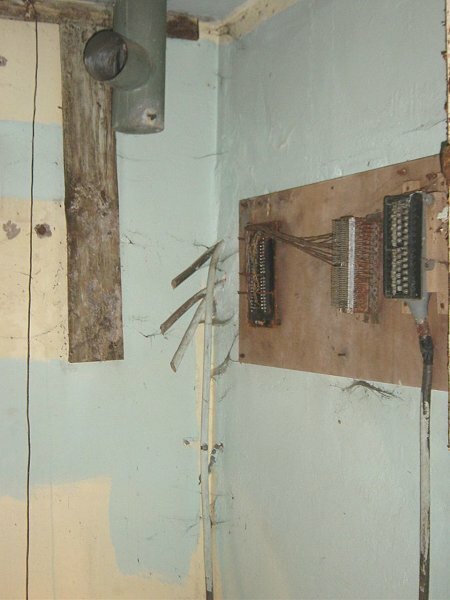 Second escape shaft in the telephone cable room - 6 September 2003. 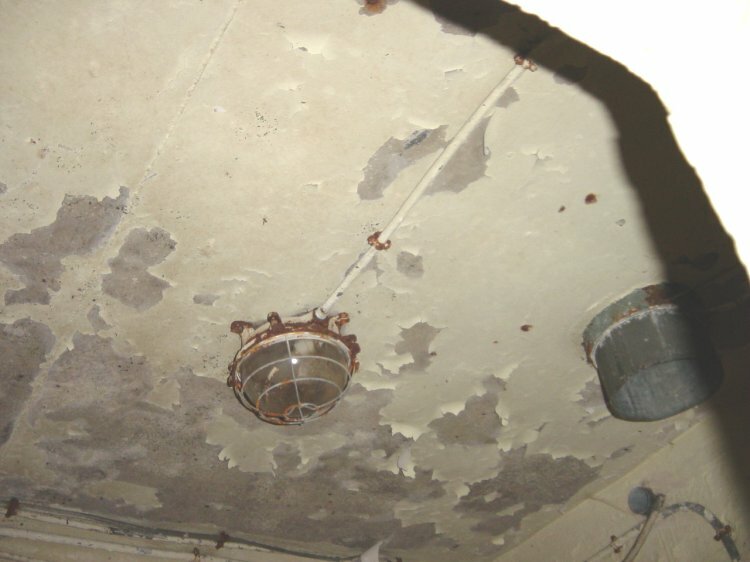 Note the air system above - 6 September 2003. 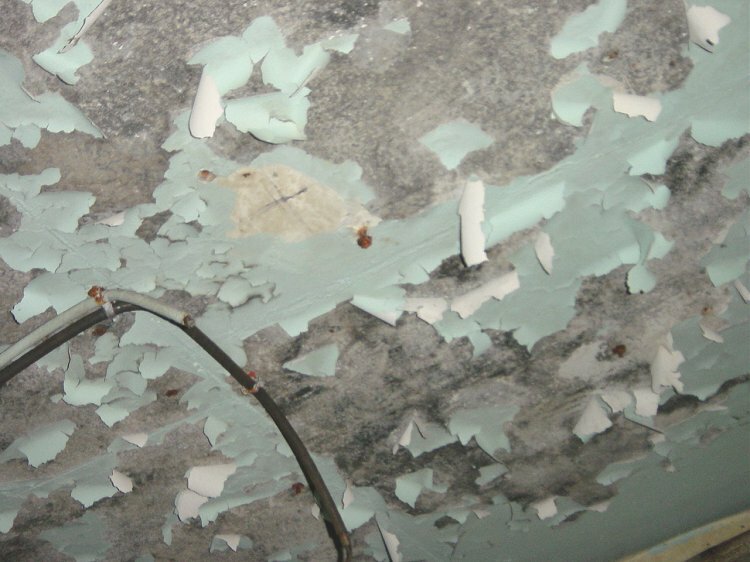 Remains of the paint on the ceiling - 6 September 2003. 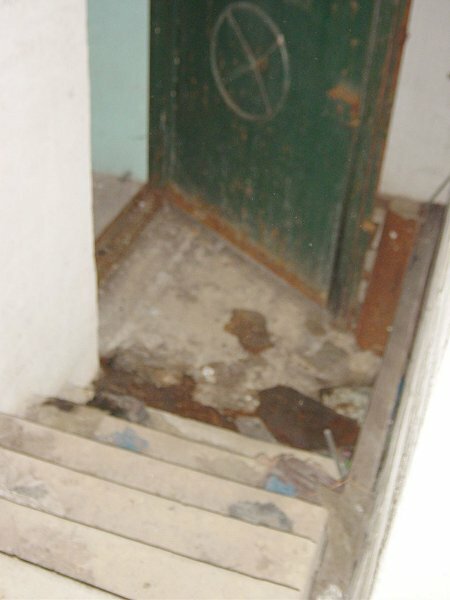 Entrance to the escape shaft - 6 September 2003. 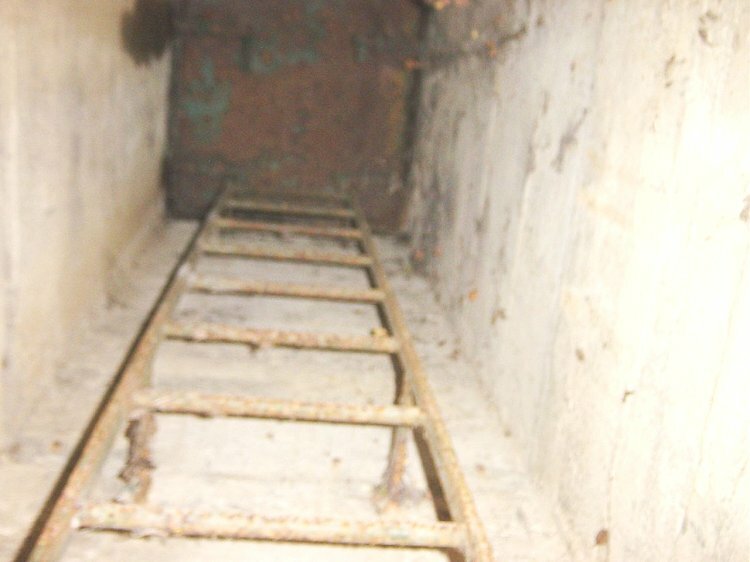 Inside the escape tunnel - 6 September 2003. 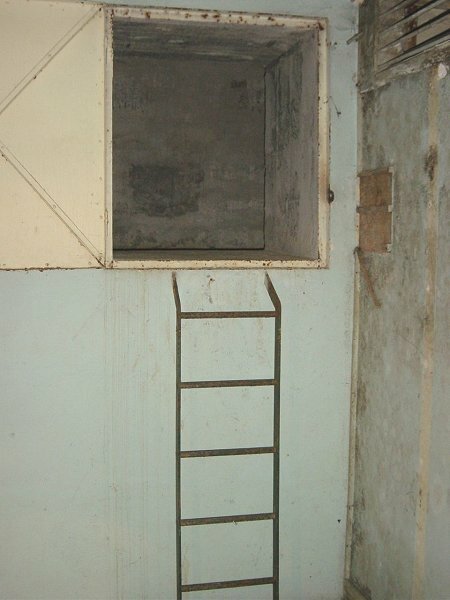 Ladder with a bit of the surface hatch visible - 6 September 2003. 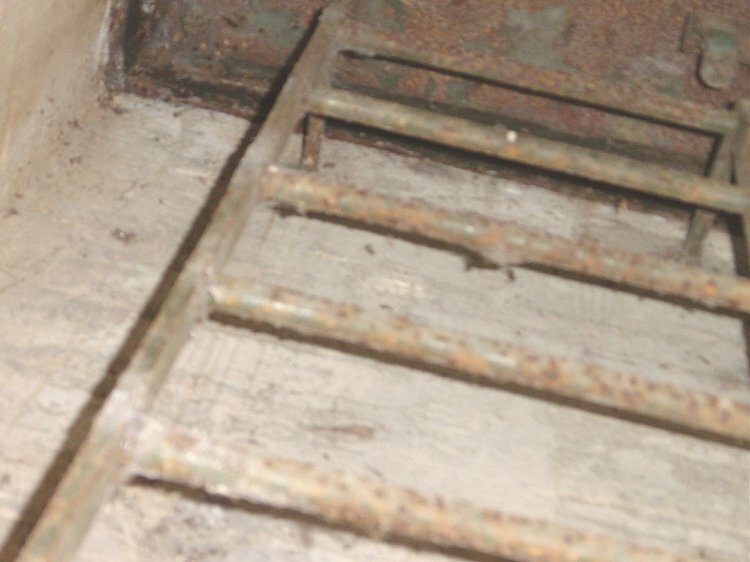 Ladder in the escape shaft with the surface hatch visible - 6 September 2003. 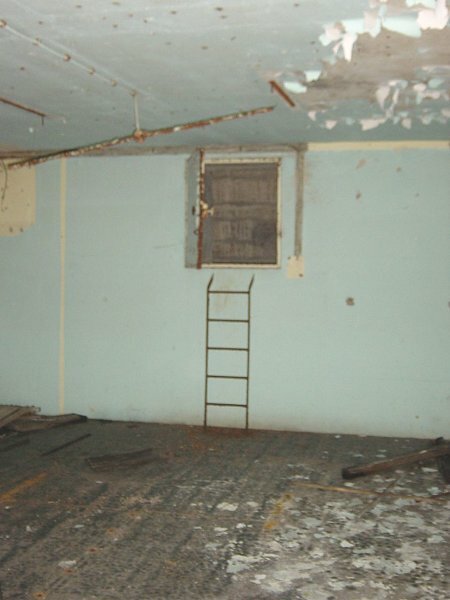 View into the room from within the escape hatch - 6 September 2003. 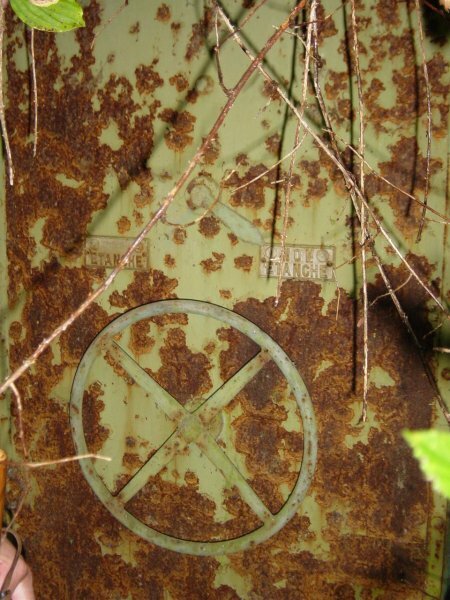 Detail on main airtight door. 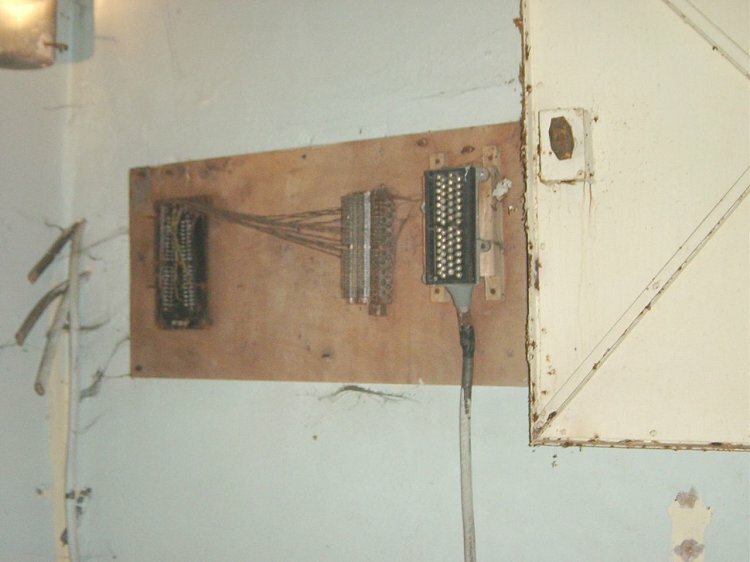 Mechanism still functioned - 6 September 2003. 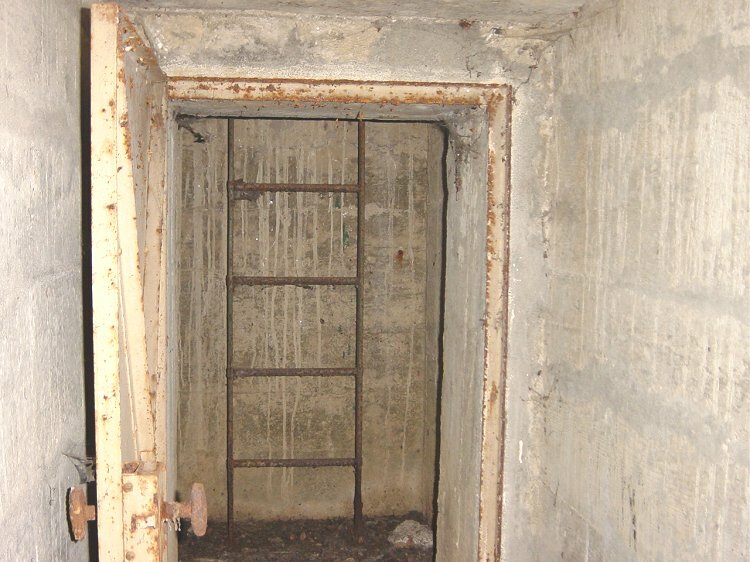 View from inside the access corridore, looking outside of the bunker - 6 September 2003.